I am a big fan of Einstein’s. 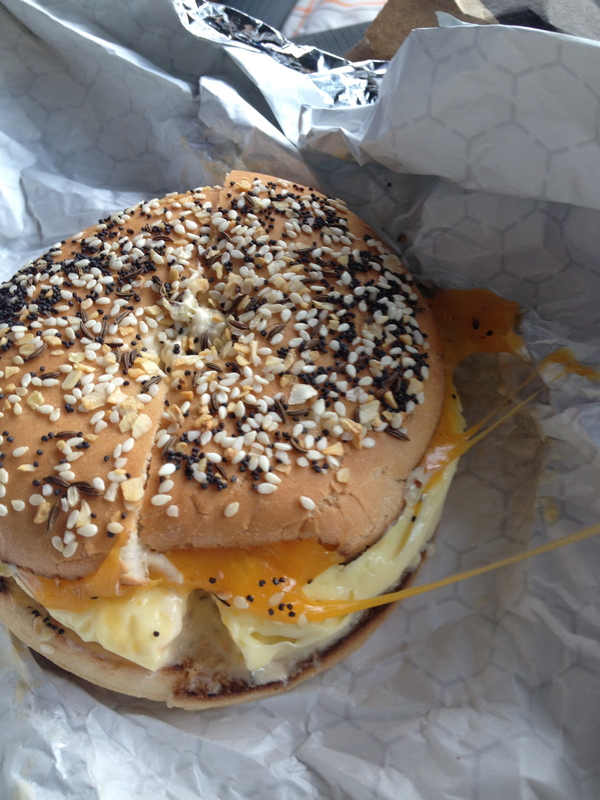 Normally when I eat there I get one of the Turkey Sandwiches on a flat everything bagel. The thing that you really need to be aware of when you are getting a sandwich here, is that the bagels, are unsurprisingly, high in calories. So I try to pick my favorite sandwich, the turkey in this case, and always get it on a flat bagel because you still get that great flavor but without all the calories. Another fun fact, they have doggie treats at the counter as well. I love places that are dog friendly and actually have something for your pet there as well.